Wir freuen uns auf den Edelstoff Designmarkt in Klagenfurt. sind unserer Bio-Mode in Klagenfurt mit dabei. Schmuck, Produktdesign und Kids Design zu erstehen. 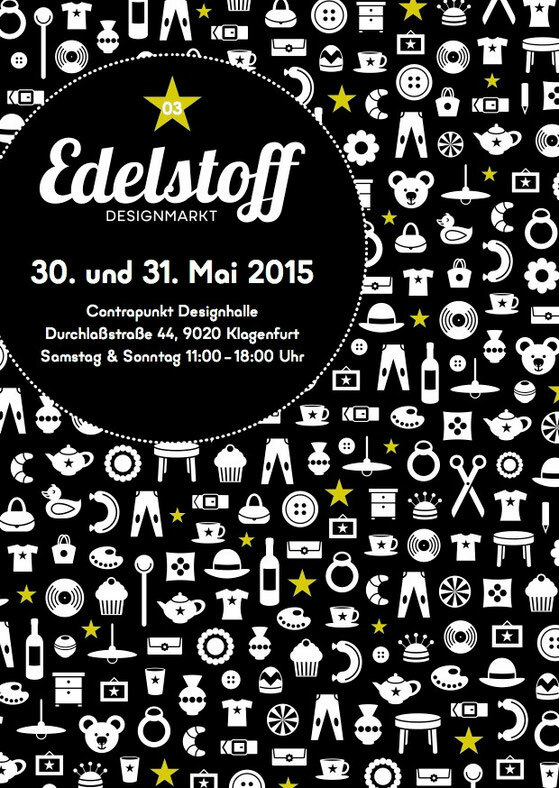 Wir freuen uns euch dort zu sehen, mehr Informationen zum Markt gibt es unter www.edelstoff.or.at oder Facebook. Howdy! This blog post could not be written much better! Reading through this article reminds me of my previous roommate! He continually kept preaching about this. I am going to send this information to him. Pretty sure he'll have a very good read. Many thanks for sharing! If you desire to increase your know-how simply keep visiting this site and be updated with the most recent gossip posted here. Hi, I do think this is an excellent web site. I stumbledupon it ;) I am going to come back yet again since I book marked it. Money and freedom is the greatest way to change, may you be rich and continue to guide others. What's up, the whole thing is going nicely here and ofcourse every one is sharing information, that's genuinely good, keep up writing.